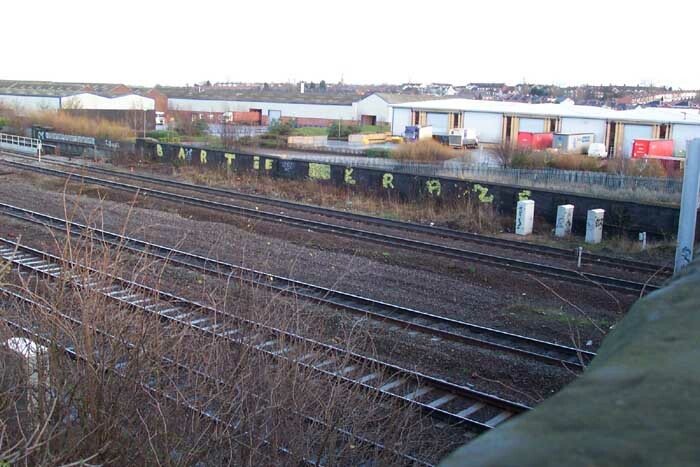 In railway history and folklore Saltley comes out top in the region covered by this website: goods facilities, extensive workshops, roundhouse/shed, large heavily rail-connected gas works and a station all once occupied this considerable site. 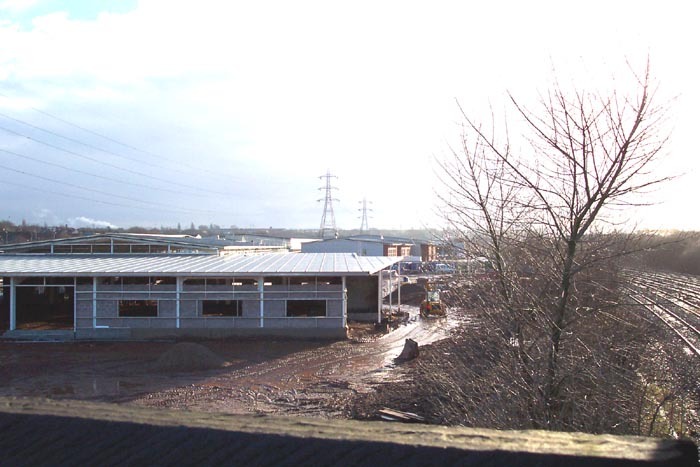 Nowadays, however, none of these facilities survive and the site is just a baron industrial wasteland with new 'factory' units being built where once the railway dominated the area. 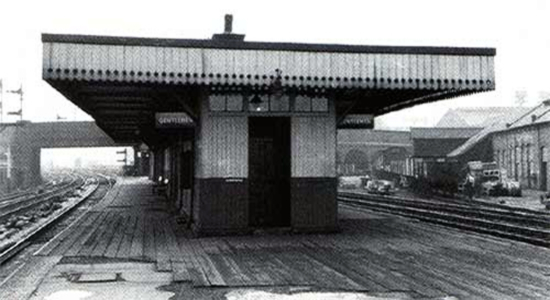 Above we see the inauspicious Saltley station (photo: Bob Essery) in 1964 looking towards Birmingham with Saltley Viaduct clearly visible and the stairwell leading up from the sole island platform to the viaduct being just to the right of the two signal arms at the end of the platform. Opening in 1854 under the MR, the station enjoyed a long service until closure in 1968, however the predilection of photographers for locos led them to concentrate on the roundhouse and sidings around the works rather than the station itself so unfortunately I have not been able to come across many photographs of the station. Above-left we are standing on Saltley Viaduct looking down to the site of the old station away from the City - the island platform lay roughly in the centre of the tracks. The recently developed area on the far right-hand side used to be occupied by the considerable Railway Carriage & Wagon Works. 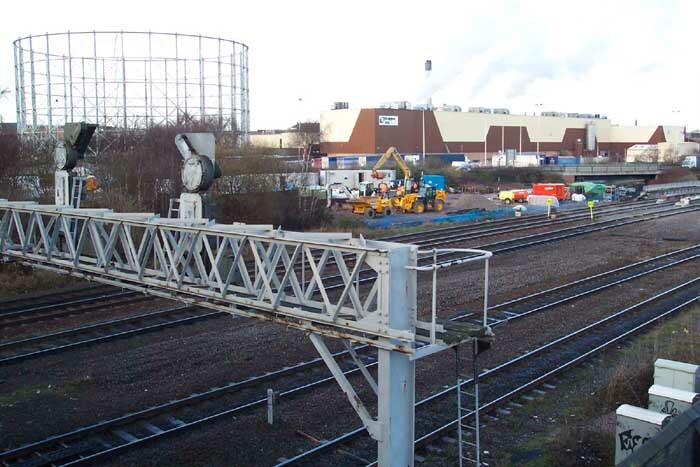 Above-right we are on Saltley Viaduct but looking towards the City and standing to the left of the trackbed - the 'unit' being built in the foreground roughly occupies the site of Saltley Gas works which was, in itself, rail-connected for coal deliveries and was of considerable size. 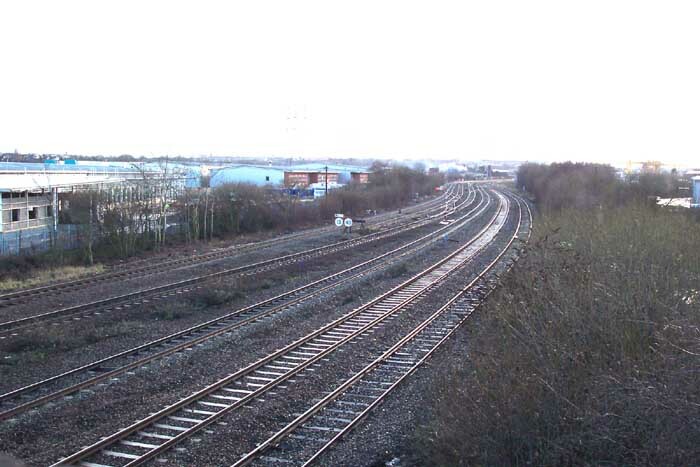 Above-left we see the station site from Saltley Viaduct but this time from the other side of the tracks. Above-right we are looking at the trackbed from Saltley Viaduct heading towards the City with the old works site to the left. It is difficult to imagine the extent of the works that once resided at this site. 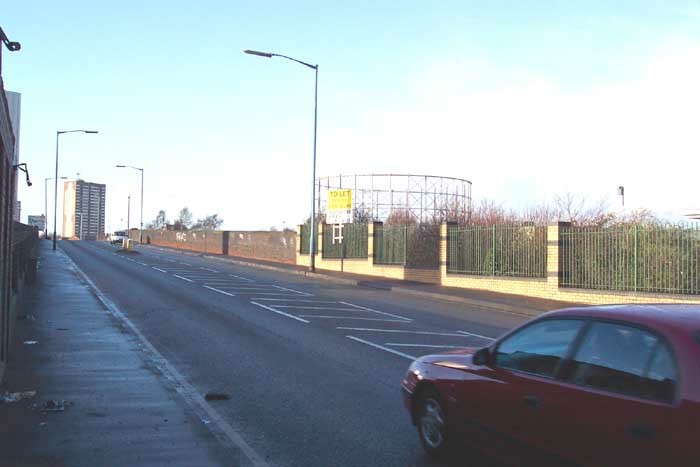 Above-left we are at the corner of Saltley Viaduct and Crawford Street looking towards Nechells - the station entrance that we saw at the top of this page was once on the right-hand side of the viaduct directly in line with the platform below: roughly at the brow of the hill in this perspective. 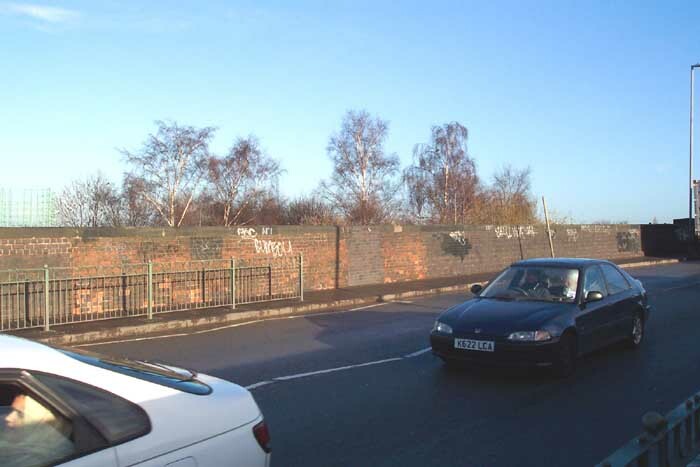 Above-right we can see the tell-tale difference in the brickwork along Saltley Viaduct indicating the section that was bricked-up when the entrance to the station was removed. As was stated earlier, this site is steeped in history but doesn't hold much in the way of evidence of that history which is a great shame.